OnePlus 3 Android Smartphone launched Globally and the developers already released custom TWRP recovery and SupersuZip file to Root OnePlus 3. If you are an Android user then you now the benefits of rooting the phone. Once the Oneplus 3 is rooted, you can install lots of Custom ROMS, makes changes in the system and take the system backup of the phone. Here in this new tutorial, we’ll show you how to Root OnePlus 3 with SuperSu Zip file and install the TWRP recovery. 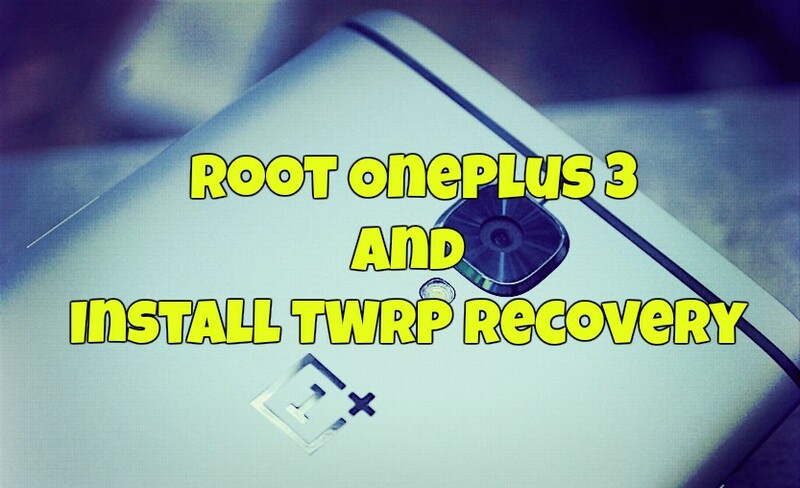 To get started all you have to unlock the bootloader file and run some adb command to install the TWRP custom recovery and at the end flash the SuperSu zip file with the help of recovery to get the root access on the Oneplus 3 Android smartphone. This guide is only for the Oneplus 3 Android smartphone users and don’t try to follow this method on any other OnePlus phone or any other Android. Otherwise, you will brick your phone. Read all the instruction very carefully and follow all the step one by one your device to root Oneplus 3. And do take the full backup of your OnePlus 3 phone. By Following the process listed below, you accept full responsibility for your actions. We the Technobuzz.net team or the developers are not responsible for bricked devices, dead SD cards. Read all the instruction very carefully and Perform everything at your risk. a) Unlocked Bootloader on Oneplus 3. Check out our full guide here to unlock the bootloader on Oneplus 3.
b) Enable USB Debugging Mode. d) Download TWRP Image File here. e) Download the SuperSu zip file here to root OnePlus 3. Step 1. As we mention above to get started, you have to unlock the bootloader of your phone. If you already did that then go to the Step 2. Step 2. Download the TWRP recovery from Step d) and rename the file to recovery.img and move the file in the ADB folder. The same folder that you create above on Step c). Step 3. Now move the Super SU zip file (Step -e) ) on your Oneplus 3 Phones internal memory. You have to flash this zip file on your phone with the help of TWRP recovery. It will root your phone. Step 4. Now Boot Your Oneplus 3 in fastboot mode. To do this switch off your phone and Hold Volume Up + Power Button. Step 5. Connect your phone and Open a new command prompt windows in the ADB folder. Open the ADB file folder which you created above. And open the Command prompt there. 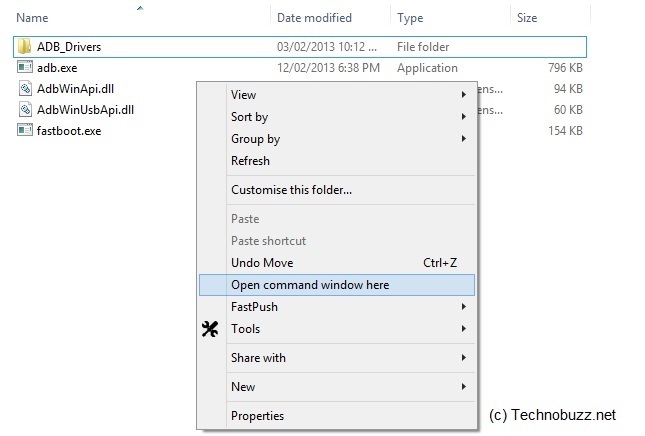 (shift + right click anywhere within that folder, select open command prompt here). Step 6. Now in the command prompt window enter the following command to install the TWRP recovery. Step 7. Once the recovery is installed. Unplug Your phone then Manually boot it into recovery mode by keeping Power + Volume Down button pressed. Step 8. In TWRP, select Reboot and then select System. Now your phone will boot into System. Step 1. Now boot your phone in Recovery mode. Switch Off your phone first and Hold Power + Volume Down button pressed. Step 2. Before flashing the SuperSU zip file, do take the Nandroid backup of your System. If something goes wrong during the root process, you can quickly restore the System. To make Nandroid Backup, Go to Backup Menu and select all the listed partitions. Swipe to take Backup. The process will take some time. Step 3. Now Go back to the main menu, Select Instal and Flash the SuperSU zip file that you saved to your phone in Step 3. Step 4. Once the zip file is flashed on Oneplus 3. GO back and Reboot System. Voila ! Now your Oneplus 3 is rooted, and TWRP custom recovery installed. Please note: USB Debugging is ON, Enable OEM Unlocking is ON, Enable Advanced Reboot is ON. ADB installed successfully and recovery.img in ADB folder. What have I done wrong? Help needed!!! PLEASE!!! My problem is that recovery.img is installed according to fastboot, but when I try to reboot into TWRP I get the old recovery screen??? ?